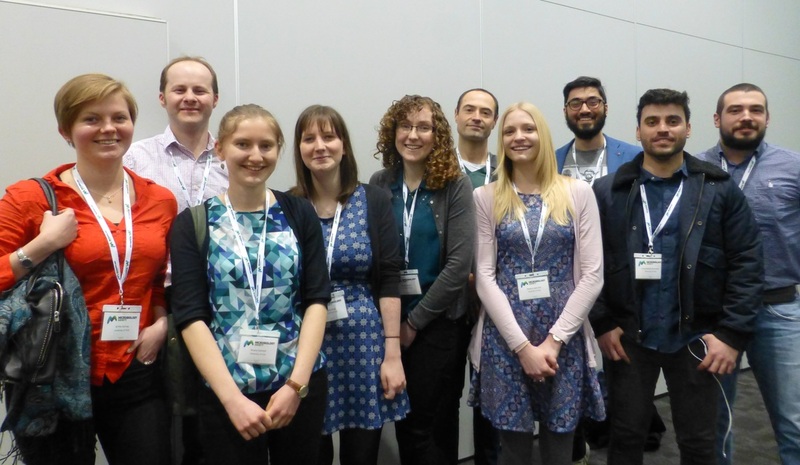 April 2016 at Microbiology Society meeting in Liverpool. From left to right. Aritha, Gavin, Bryony, Sophie, Caroline, Emm, Rebecca, Pej, Con and Ivan. December 2014 (after Caua's leaving lunch). Gavin, Dan, Caua, Sophie & Kaz. November 2013. From left to right. 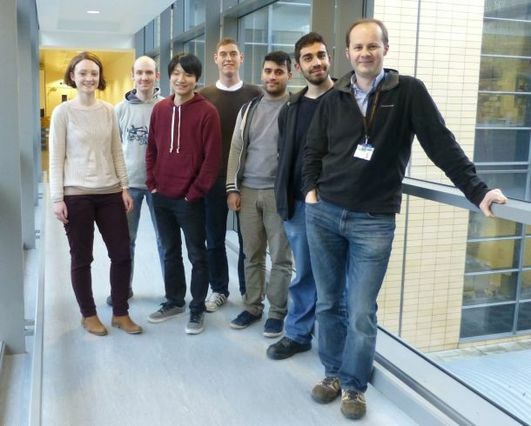 Rosanna Hennessy, Chris Carrick, Kazuki Iikuka, Dan Bawdon, Con Drousiotis, Henrique Neves and Gavin Thomas. 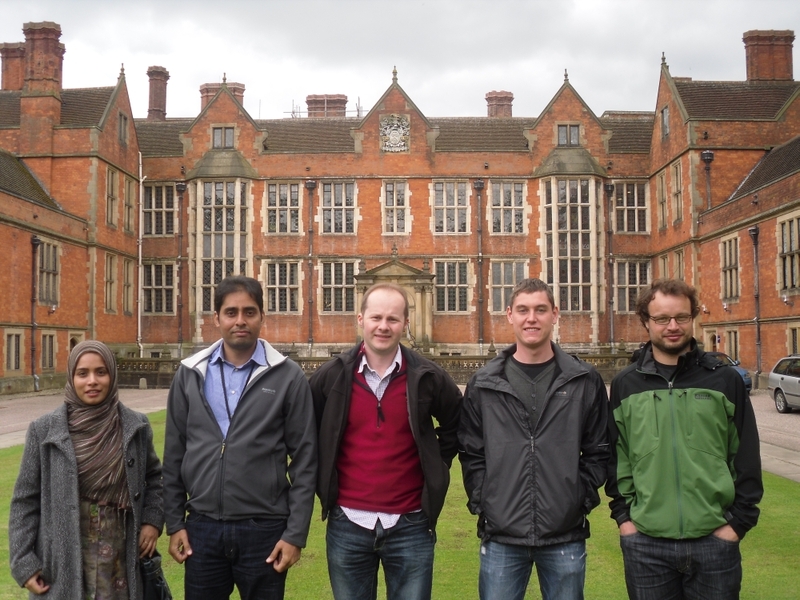 Lab photo outside Heslington Hall after lunch in Heslington to celebrate Abbas getting a postdoc position at the John Innes Centre in June. From left to right: Amna Afzal, Abbas Maqbool, Gavin Thomas, Daniel Bawdon, Vashek Stemberk. Fatima took the picture :-). 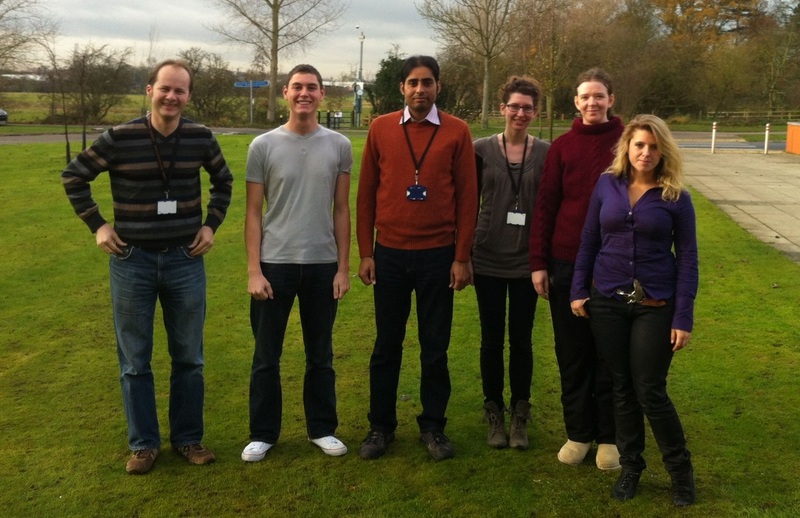 Lab photo December 2011 (on Nadine's last day). From left to right. Gavin Thomas, Dan Bawdon, Abbas Maqbool, Nadine Grutser, Miranda Smith, Katie Norville. 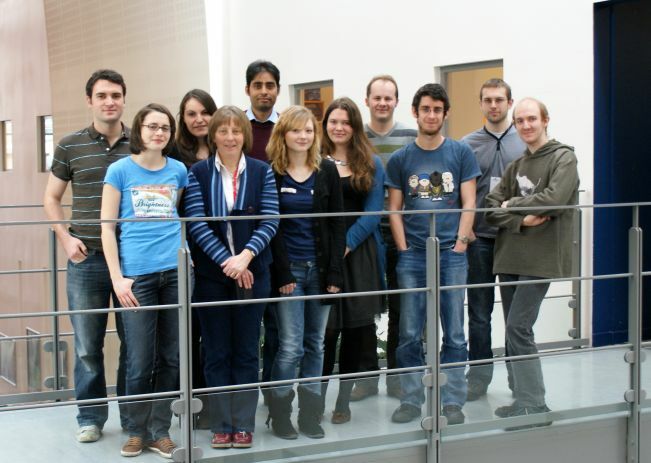 Lab photo Jan 2011 (from left to right). Abbas Maqbool, Dan Bawdon, Chris Mulligan, Gavin Thomas, Sandy Macdonald, Rosie Dixon, Catherine Hall, Ka To, Kris Moore. 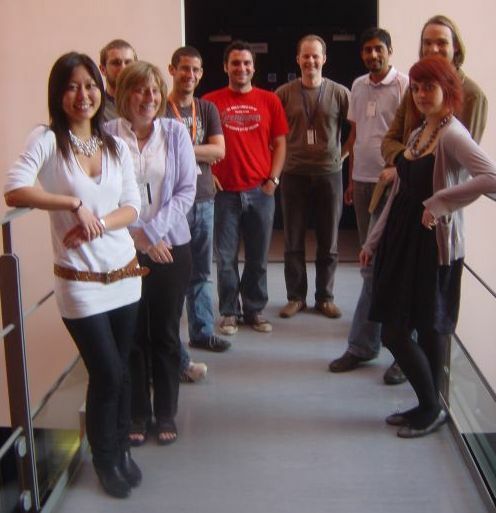 Lab photo Jan 2010. 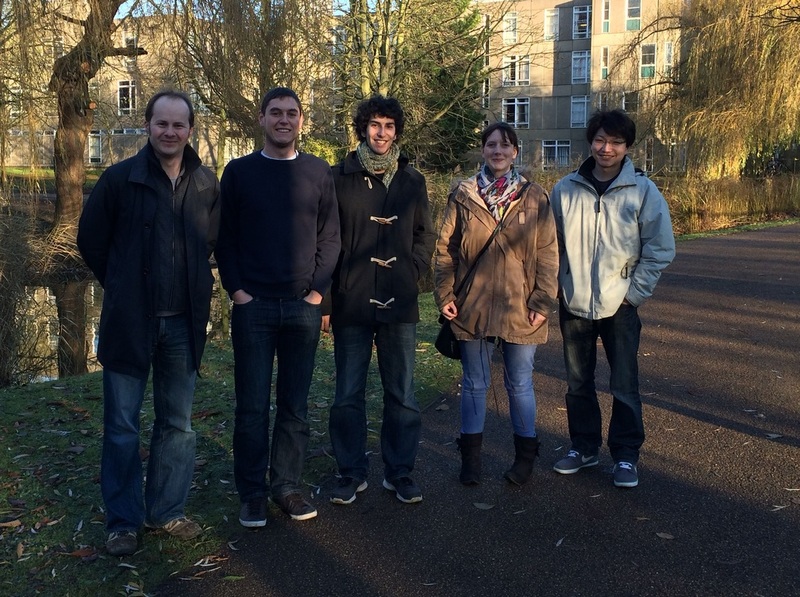 Back row (left to right), Chris Mulligan, Elisabeth Schwab, Abbas Maqbool, Gavin Thomas, Adam Hopkins. Front row (left to right) Katharina Graupner, Judith Hawkhead, Megan Roberts, Sophie McKenna, Sandy Macdonald, Chris Carrick. Thomas lab pic Summer 2008. 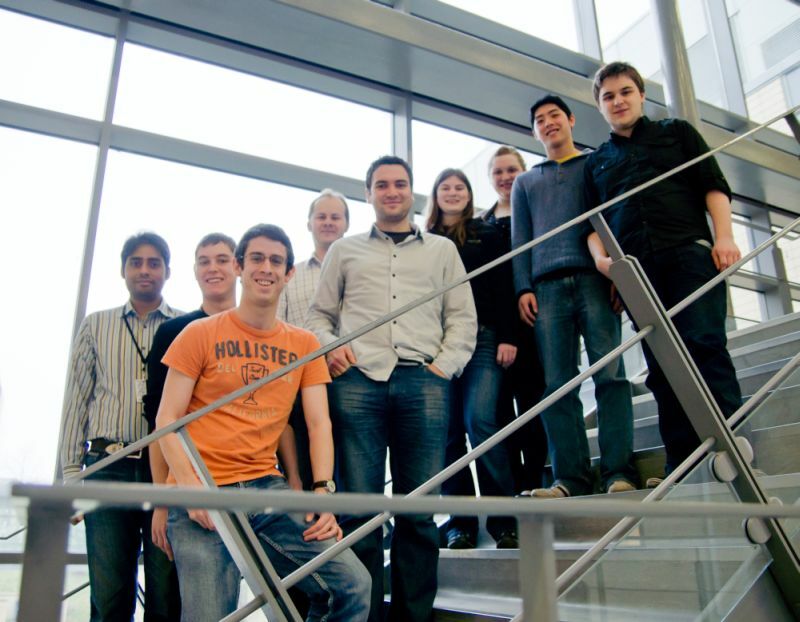 From left to right: Kathy Lau, Adam Hopkins, Juduth Hawkhead, Sandy Macdonald, Chris Mulligen, Gavin Thomas, Abbas Maqbool, Jan Weber, Ruth Hunter. 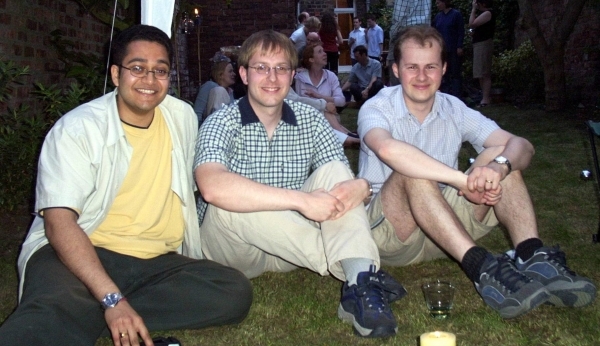 The first Thomas lab photo circa 2003 - Raju Misra (the first Thomas lab PhD student), Wolfgang Reindl and Gavin. Benjamin Willson - BBSRC funded PDRA. Joyce Barrett - DeTox project manager. 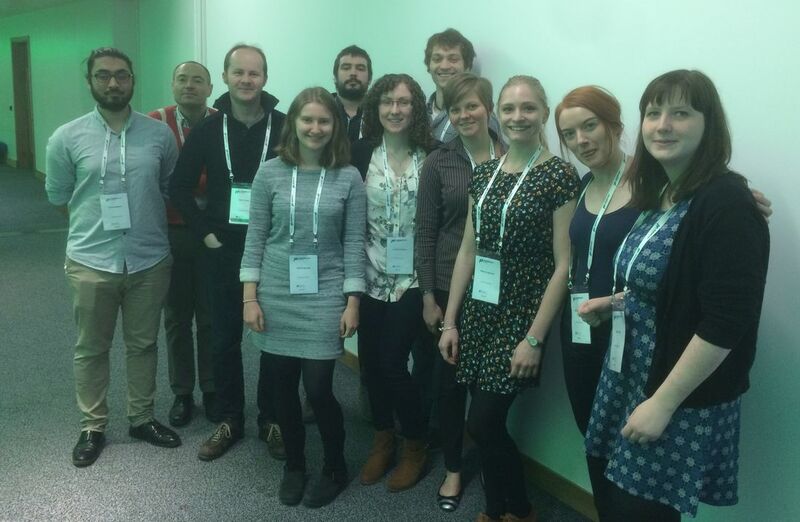 Sophie Rugg - BBSRC iCASE PhD student with FERA. Ivan Gyulev - BBSRC iCASE PhD student with Green Biologics Ltd.
James Robson - BBSRC iCASE PhD student with Clearfleau (with Dr. James Chong). Dr. Constantinos Drousiotis. PDRA in Biology. Dr. Kazuki Iizkua - returned to USA. Pejvak Moghimi - started PhD in London. Dr. Daniel Bawdon - head of strain development at Invista, Teesside. Caua Westmann - returned to Brazil to complete undergraduate studies. Dr. Rosanna Hennessy - PDRA now in University of Copenhagen. Dr. Chris Carrick - complete PhD Summer 2014. Henrique Neves - Science without Borders students & later student technician. Fatima Nadat - Completed MSc by research in 2013. Now PhD student in Leeds. Nadine Grutser - Visiting Master's student from University of Cologne. Dr. Vashek Stemberk - current training as clinical fellow in the NHS. 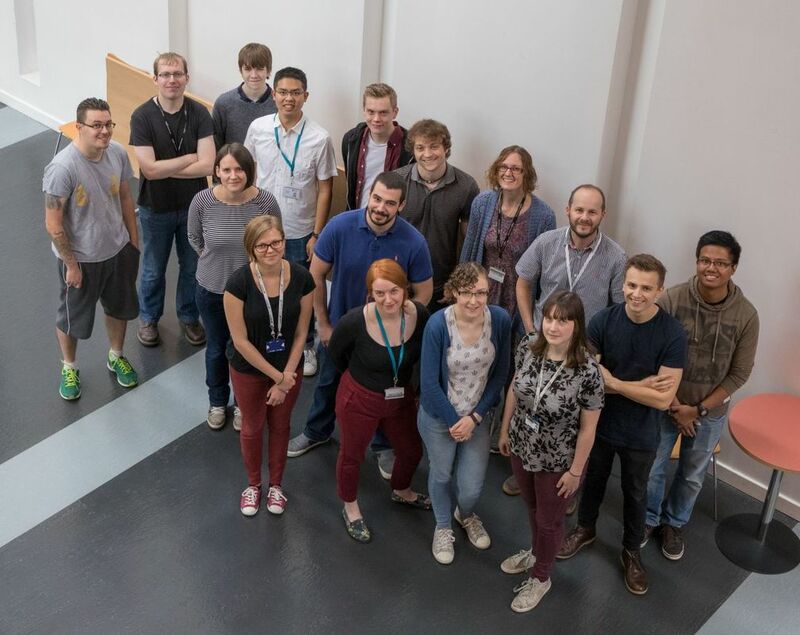 Dr. Sandy Macdonald - senior bioinformatician Welcome Trust funded C2D2 protein, York. Dr. Christopher Mulligan - PDRA at NIH in Joe Mindell lab. Dr. Marcus Fischer (YSBL with Prof. Rob Hubbard) - PDRA in Brian Shoichet lab in San Francisco, USA. Dr. Adam Hopkins - now research leader at Demuris in Newcastle. Dr. Emmanuele Severi - scientist in Phico Therapeutics in Cambridge. Rejoining the lab in Jan 2016. Dr. Richard Horler - PDRA at the John Innes Centre, Norwich. Dr. Raju Misra - now Senior Scientist - Bioinformatics, Proteomics and Genomics at the Health Protection Agency.